Having a happy working environment is a sought-after ideal for many bosses and employees with research showing that the hours spent at the office directly impact on one’s quality of life. 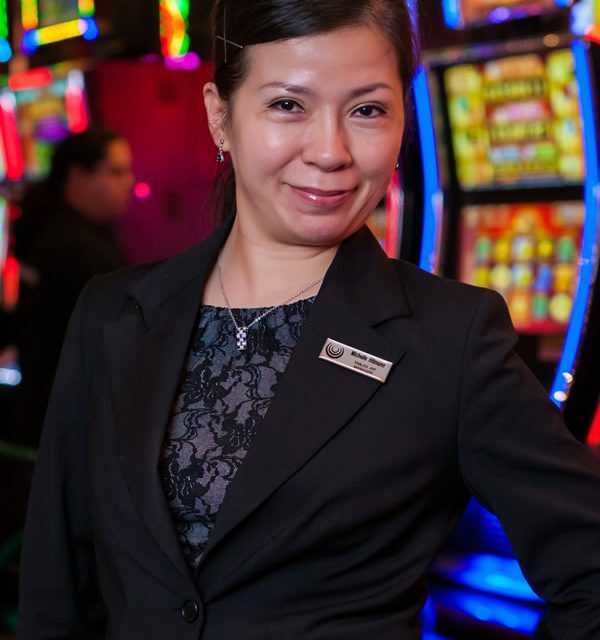 Fei-Ting (Michelle) Hitmann, Pit Manager at Suncoast Casino, Hotels & Entertainment in Durban – seems to have found the winning formula in being both happy and fostering happiness in those around her. And the proof is there for all to see with her colleagues recently voting her as the livingTSOGO National Brand Ambassador Award for the second consecutive year. The prestigious award was presented at an in-house ceremony in Cape Town, citing Hitmann as displaying the Tsogo Group’s value systems of Teamwork, Service, Opportunity, Growth and Ownership. The livingTSOGO values are the group values which extend across the 96 hotels and 14 casinos that make up the Tsogo Sun Group. “I feel so appreciated and honoured for being recognized for my efforts and hard work for the second time in a row,” Hitmann says. Being a good listener, consistent and respectful, having a great attitude and good communication skills are qualities that the award-winner believes to be essential in her managerial position. Her duties include running the pits at SUNCOAST in accordance to business demands, staffing levels, procedural and policy compliance and managing the performance and development of dealers and supervisors. “I motivate staff by creating a positive atmosphere through demonstrating respect and dignity to all and reward colleagues who perform well through the voting mechanism. Providing professional courteous service to customers is also encouraged,” she adds. Hitmann (who moved to Durban from Taiwan in 1991) first started working for SUNCOAST in 2005 as a Dealer before taking up a position at Emperor’s Palace in Gauteng. She returned to SUNCOAST as a Pit Manager in 2010. Like most working mothers, the award-winning employee juggles her demanding day with an equally busy life at home as a wife and mom. “I admit to being career-driven; however I believe that if one maintains a healthy married life, the rest will all fall into place. I love cooking, baking and taking care of my family and want nothing more than to see my kids grow up, get married and be as happy as I am,” Hitmann says. Looking ahead to the future Hitmann’s career goals are ones that include helping others. “I want to continue learning new techniques that will make me a better manager and use the knowledge gained to help others reach their full potential. The livingTSOGO moments awards allow Tsogo employees to recognize, nominate and vote for fellow colleagues at any of the Tsogo properties around the country based on the positive qualities and Tsogo values they display. Personnel use a specially-downloaded company mobile app to nominate and vote for the staff member of their choice who has positively portrayed the various company values. The app subsequently scooped a Bronze Award in the Relationship Management Category of the Mobile Marketing Association of South Africa’s (MMA SA) Smarties Awards – which was awarded during the 2016 Loeries in Durban. The LivingTSOGO Moments platform was created by Durban-based Mobile Surveys Company Tellpeach (powered by Always Active Technologies (AAT), who provide dynamic mobile surveys for brands wanting to communicate with their consumers (or in this case, employees). The design of the rewards and recognition programme was an intensive one which involved a large amount of research and case studies. The livingTSOGO moments awards were introduced in 2015 and are recognized, presented and voted for, internally.